The cuts are biting, the economy is faltering, and our campaigns need to grow in strength. Bournemouth Uncut are hosting another day of skills sharing (the 4th skills sharing event we have hosted in Dorset), this free event will be a fantastic day of skills sharing; training in the core aspects of what it takes to be an organised direct action network. 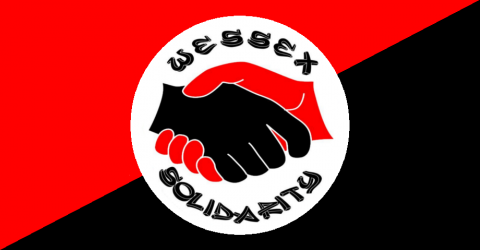 This is a important opportunity is open to everyone for people from all around the region to come together and start planning for future direct action in the South. B.P.A.C.C. Demo’s against the Bedroom Tax – Tuesday 18th June – 6pm. 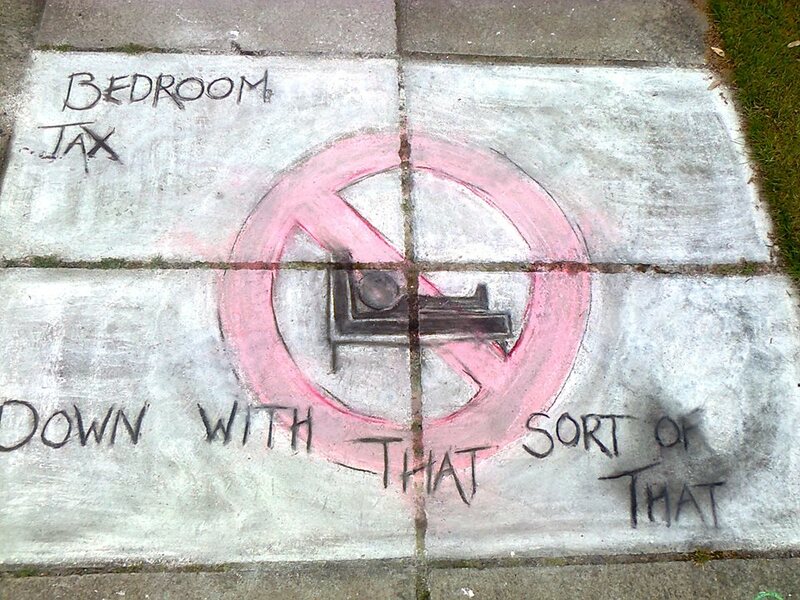 Some ideas to fight the bedroom tax. Press Release. Bournemouth Uncut responds to reaction over its ‘Who wants to evict a millionaire’ action. On 1st April the government introduced the bedroom tax, making 670,00 people worse off for having a spare room, even if it’s for a disabled partner or child, or foster children to sleep in at the same time as giving 13,000 millionaires a tax cut . 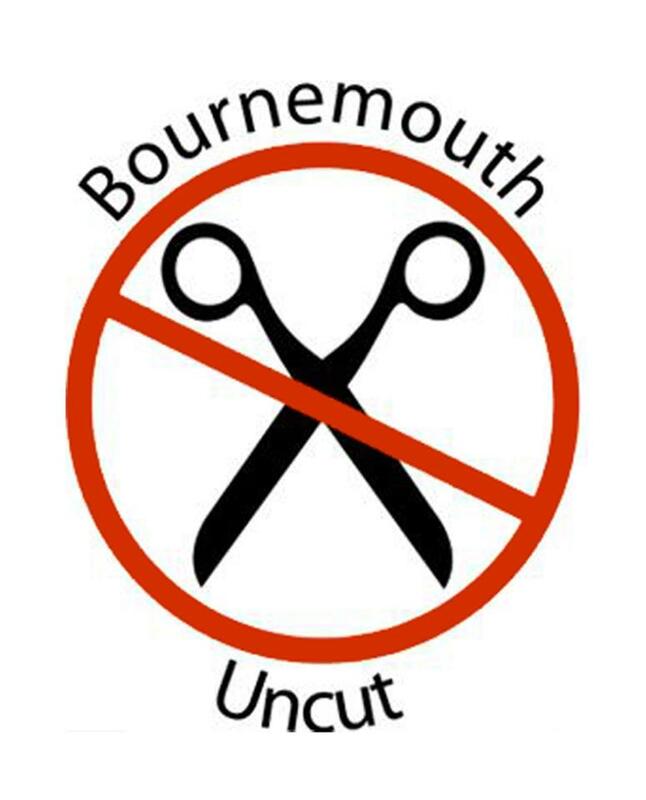 In reaction to this and in response to a national call-out from UK Uncut, Bournemouth Uncut took our creative civil disobedience straight to the people who are directly pushing and benefiting from these cuts. Bournemouth Uncut is a local group part of UK Uncut, a grassroots movement using direct action to fight the cuts and highlight alternatives to austerity. On Saturday 13th April 2013 a group of activists took action as part of UK Uncut’s nationwide “Who wants to evict a millionaire” that saw actions round the country, including London, Manchester and Chelmsford against the governments changes to housing benefit dubbed the “bedroom tax”. We are disappointed at Cllr Mike White’s decision to brand our actions sick, and feel that what this government of millionaires is doing to single-mothers, disabled people and low-earners up and down the country is what is actually sick. In reaction to Poole MP Robert Syms statement to Bournemouth Echo where he claimed direct action would make him and his government “more determined to make sure [they] make fairer policy in terms of housing”  Bournemouth Uncut say that they will continue to work with other direct action groups locally and nationally until the “bedroom tax” is added to the ever growing number of coalition u-turns .